Andrews has led the Duke School of Medicine for 10 years. 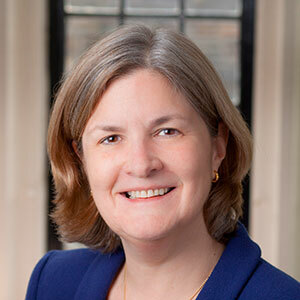 She has emphasized interdisciplinary collaboration both within the school and across the university, and has established a host of new research and education programs. During her tenure 5 new departments have been launched, a state-of- the-art education building opened and a satellite campus founded in the Durham Innovation District. An alumna of Yale (BS, MS), MIT (PhD) and Harvard (MD), she trained in pediatric hematology/ oncology and served in faculty and leadership roles at Harvard before moving to Duke in 2007. Internationally recognized for discoveries in iron biology, she was an HHMI investigator and has been elected to the National Academy of Medicine, the National Academy of Sciences and the American Academy of Arts and Sciences. She was the 2009 President of ASCI and serves on the Boards of the American Academy of Arts and Sciences, Burroughs Wellcome Fund and Novartis.